The Economist has operations in Beijing, Shanghai, Tokyo, Seoul, Hong Kong, Singapore and Mumbai. 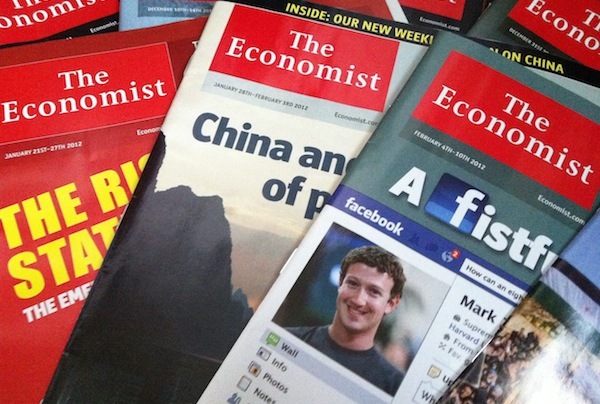 The Economist has appointed Golin as its PR agency of record in Asia after a competitive pitch. The agency is tasked with positioning the title as a source of thought-proving insight to help drive subscriptions and showcase its abilities for marketing and communications activities. First published in 1843, The Economist has a growing global circulation of 1.5 million people. It recent years it has ramped up its digital offering. In November, 2014 it launched its first-ever daily edition with the Espresso app, which provides bite-sized summaries of key international stories before breakfast each day to subscribers. In April this year, it launched its first ever bi-lingual edition with The Economist Global Business Review app, which makes content available in Chinese, Economist Films was launched the month before. At Apple’s Worldwide Developers Conference this month, The Economist was revealed as one of the media outlets that will provide selected content into Apple’s News App. Charles Barber, vice president, PR & thought leadership at The Economist, said: "We realise that people have a lot of choice on where they get their news and views and we are looking forward to working with Golin to demonstrate why The Economist remains as relevant and necessary as ever – particularly in an age of information overload." Originally founded to make the case for free trade, The Economist is renowned for its support of liberal ideals and Golin’s campaign will promote the publication’s stance on key social issues and demonstrate that there is more to its coverage than business, finance and politics. It will also help promote The Economist Group's media business offer to brands, which aims to offer integrated content and events to target audiences. Marc Sparrow, executive director at Golin said: "The Economist is a hugely influential international publication and there is a definite sweet spot in Asia where its views and analysis can enrich debate – it has a genuinely international outlook, passionate belief in the benefits of free trade, and a keen eye on the social and business trends that will reshape the world. We’re looking forward to persuading people across Asia – both business leaders and aspiring professionals – that reading The Economist will benefit their careers, their employers and wider society."